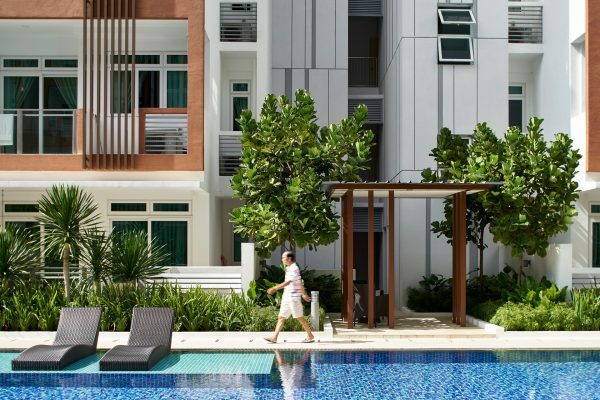 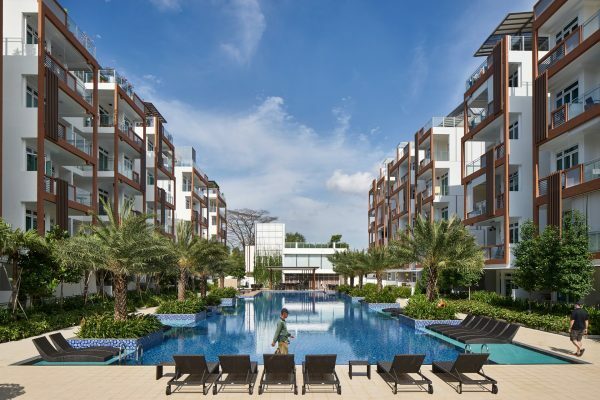 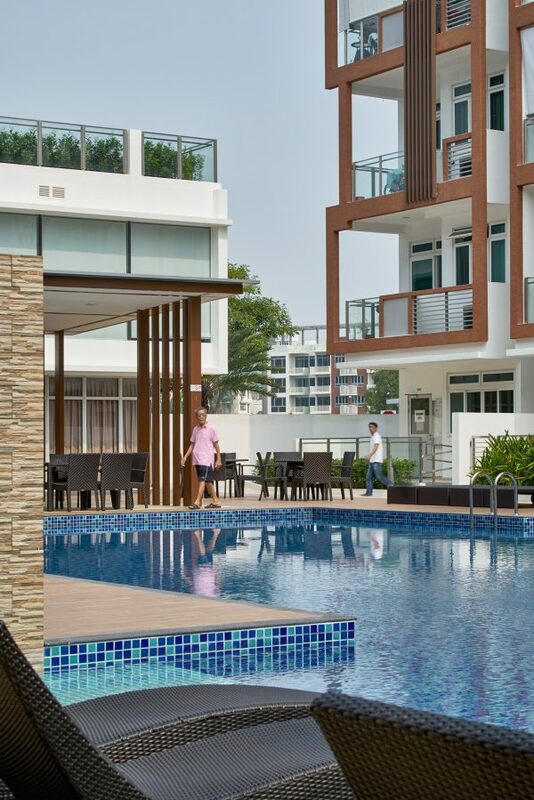 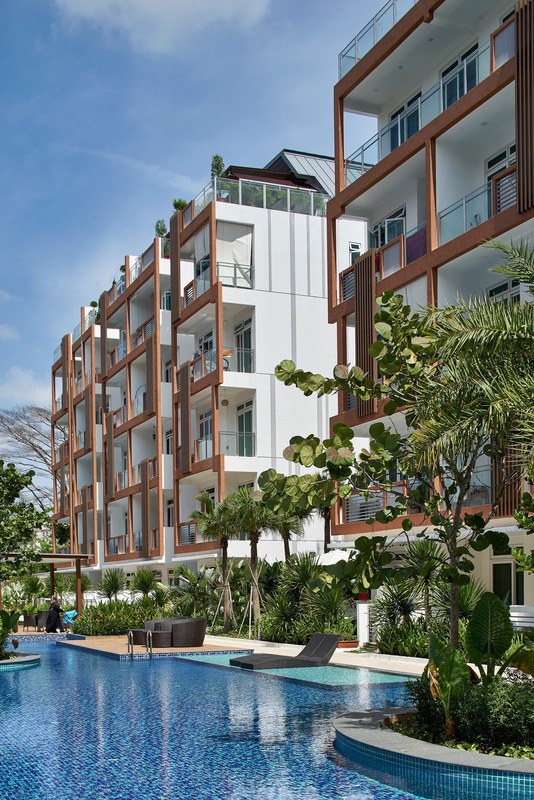 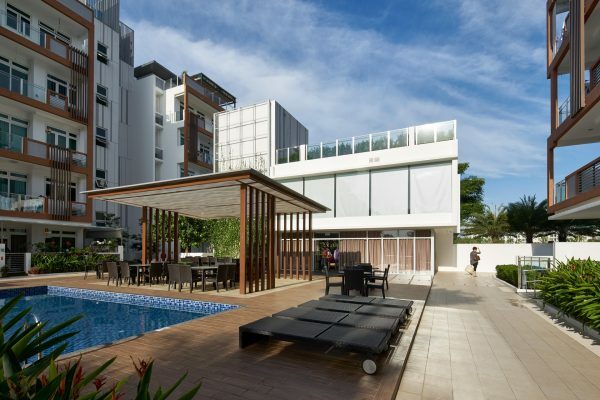 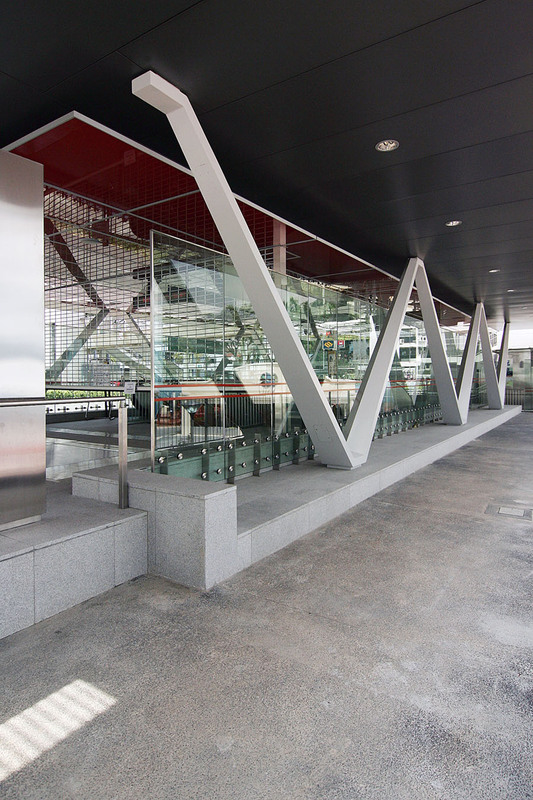 Parc Rosewood is a condominium development consisting of 15 blocks of low-rise 5-storey buildings totally 689 units over a sprawling 27,380.30 square metres site in the suburban Woodlands estate, in the northern part of Singapore. A mix of one-bedroom studios, two- and three-bedroom apartments and Penthouse units create a diverse mix of young executives and new families. 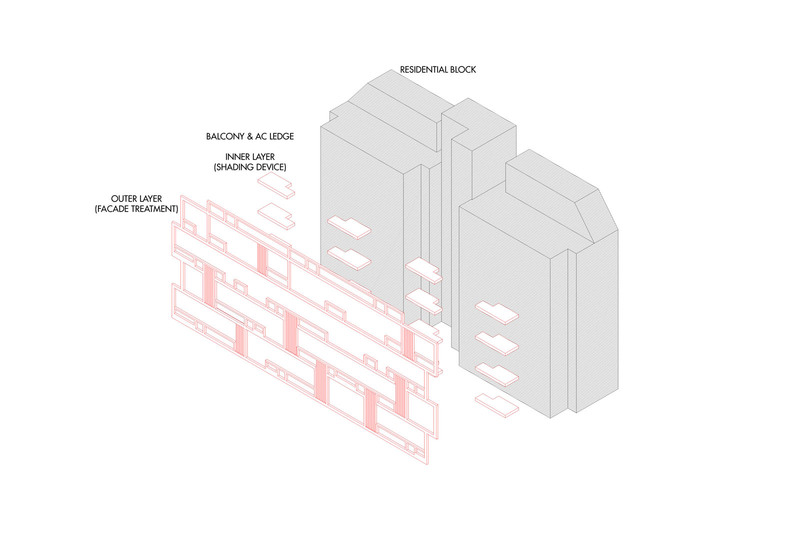 The residence is conceptualized as a community of low-rise buildings with minimal west facing elevations. These buildings are planned along luxuriant tree-lined boulevards and thematic avenues planted with scent-inspired plants. 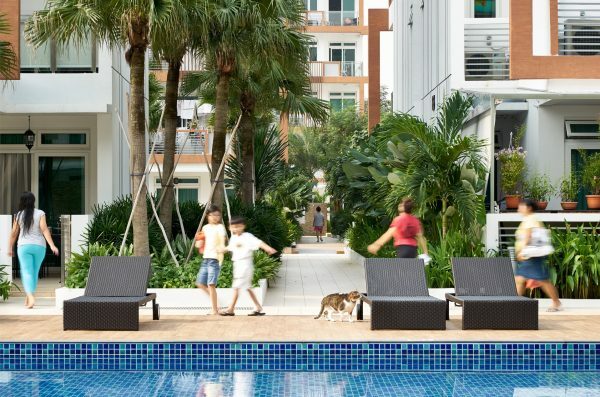 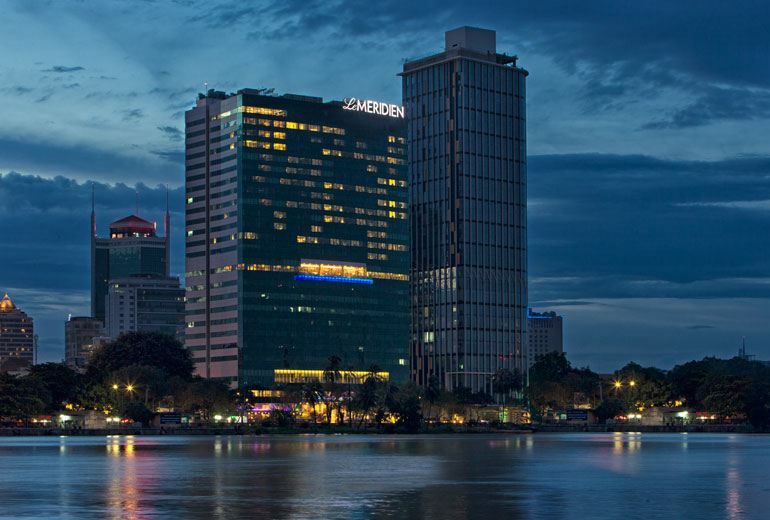 All blocks overlook vibrant communal facilities consisting of more than ten activity pools like a 50-metre lap pool, spa pools with Jacuzzi, children’s wading pool, and tranquil pathways hugging reflection pools. 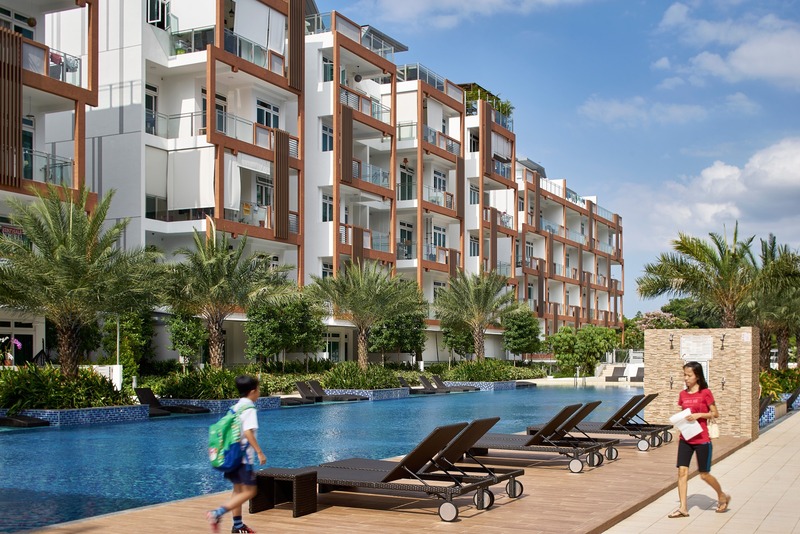 Nestled amidst these generous water features are thematic communal pavilions and pool decks with semi-submerged aqua decks for sunbathing residents, and interspersed with lush tropical planting to provide privacy to the extensive ground floor units.